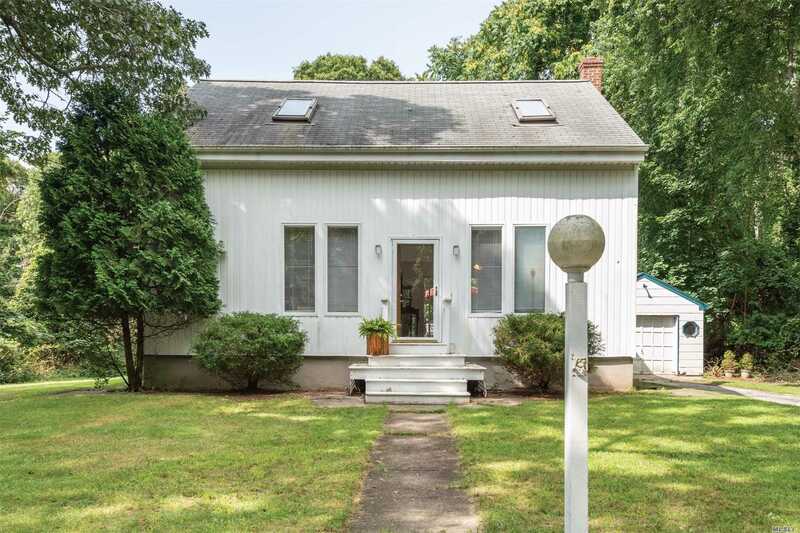 On A Quiet Street In Hampton Bays, This Two Story Cape With Three Bedrooms And Two Baths On A Just-Shy Half Acre Presents An Opportunity. Open Living And Dining Areas Are Brightened By A Skylight. A Staircase Ascends To The Second Floor. The Open Kitchen Leads Through A Sliding Glass Door To Deck And An Above-Ground Pool In The Large Backyard. A Hallway To The Left Leads To A Bedroom And Full Bath. Upstairs Are Two Additional Bedrooms, A Full Bath And A Loft Area. Renovate Or Build Anew. Basement Description: Full, Bilco Doors, Washer, Dryer.